The government of Argentina has more than doubled export taxes on biodiesel, further distressing the industry already suffering from low oil prices and closed markets. The export taxes were increased in February to 3.89pc from 1.62pc in January, which were the lowest since the government implemented a sliding-scale system of export duties for the biofuel in 2012. The biodiesel industry sees the tax hike as an example of the downsides of the sliding-scale system, which the industry views as too opaque. “We do not really understand the parameters. 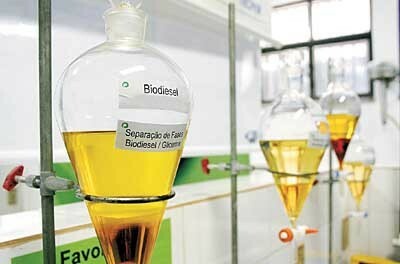 It’s like playing the lotter,” Victor Castro, head of the Argentinian biodiesel chamber Carbio, told Argus Media. Biodiesel producers have long complained that the variable export taxes make commercial planning impossible. The increase flies in the face of a general trend toward lower taxes and market-oriented policies implemented by Argentina´s new government since taking office in December. The biodiesel industry has been lobbying for a fixed export duty. “We are optimistic that this issue will be resolved soon,” said Castro.